Red & Black are delighted to be able to offer for rent this large multi use retail space in the centre of Dunstable. 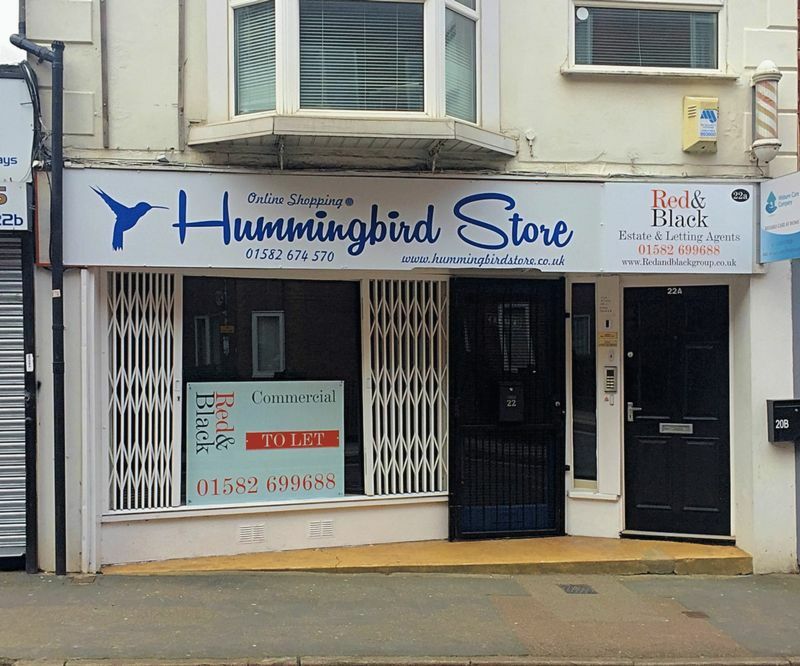 Situated on Albion Street, this unit is one of a kind, offering a prominent shop front whilst also benefitting from free short stay parking directly outside the property. The property also offers approx 500 Sq Ft of retail space along with a self contained kitchen and w/c area. This unit would suit a wide variety of purposes, with previous occupiers including a barber shop seating 8 stylists. SERVICES Mains electricity, water and drainage.